SuperGirl and I left early this morning to head over to Austin and watch Summer’s drill team at competition. She also entered a solo. If you think of her around 3:30, pray for her nerves… and mine, too! Since I’ve been using writing prompts to help me write every day, I thought it would be fun to dump all the random things of life from this week here today. Here goes. This is the song Summer is dancing to today. She’s playing the part of a soldier, coming home. I can’t wait to watch her! 2. SuperGirl is learning a card trick for the school talent show next week. It could be great or a huge flop. I’m hoping she doesn’t chicken out. Here’s hoping her magic trick mentor does a good job teaching her! 3. Pickles has her LAST basketball game of the season today. We’re all happy-sad. In a somewhat related note, she was given the Christian Character award at the awards ceremony from the tournament last weekend. Apparently her coach nominated her. I had no idea. She really is a great kid. 4. Last night we went to see the Blue Man Group. I’ve waited a long time to see them. They did not disappoint! In fact, I’m in the market for two tickets to Sunday’s show since Summer had to miss it. We’d originally purchased tickets to go as a family but then her dance team contest got moved up. I’m SO SAD she missed it. 4. I started, and more importantly, completed a project. The print is from etsy.com (a gift to Summer for Christmas). 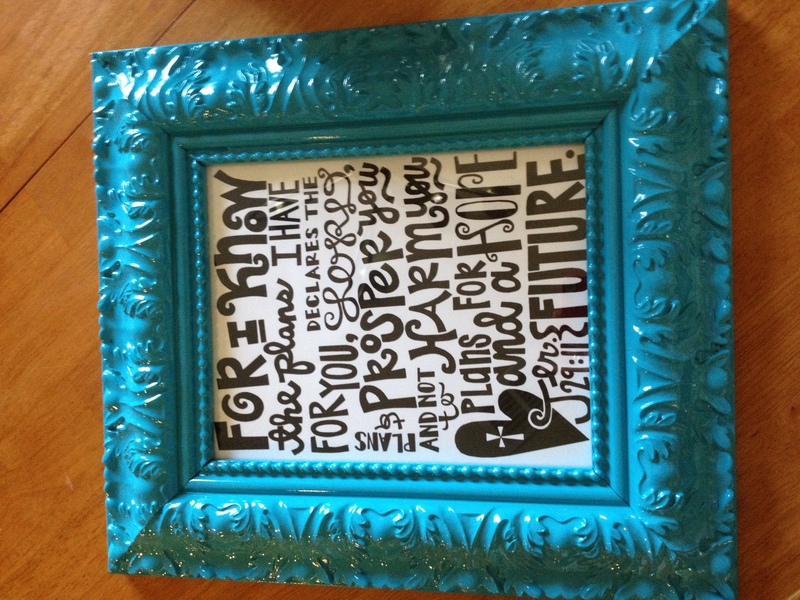 The frame was a blah, antiqued silver frame from Hobby Lobby. I spray painted it… all by myself!! I texted her a picture and she loves it. 5. Summer and I found these super cute magnets at a fun little store in Navasota. I let her pick them out. Can you tell? 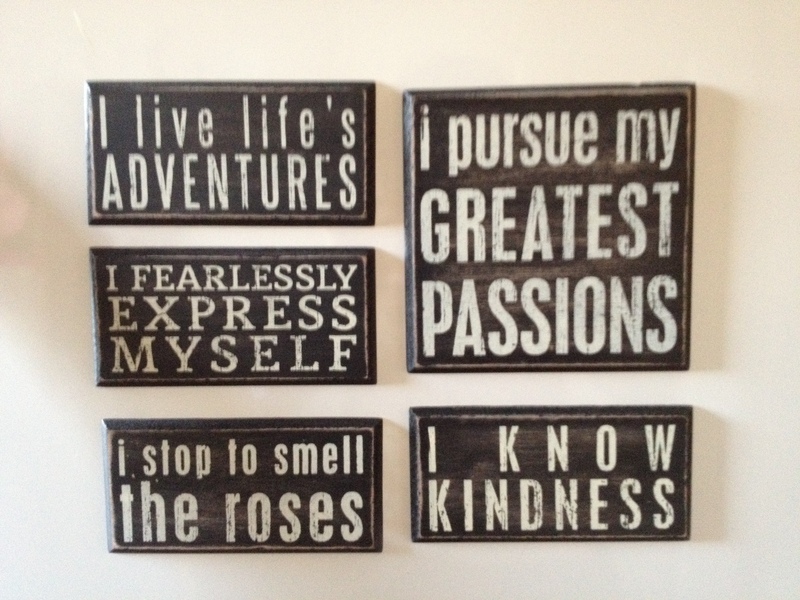 My plan is to have them on a wall in the bathroom. I just need to talk the mister into painting some magnetic paint on the walls in there! For now they live on the freezer in the laundry room. 6. Sometime in the last few weeks I misplaced my James Avery charm bracelet. I realized it a couple of Sundays ago. I did my best not to panic after I’d checked all my usual hiding spots. I found it this week, in my wallet. Where I’d already looked… there are two zippered pouches and I’d only checked one. That bracelet has charms dating back to college on it. One was the very first gift Hubs had given me. And there are charms with each of the girls’ birth dates on them. And numerous charms from friends and family. I’m so thankful it turned up! 7. I played a word in Words with Friends this week that was worth 125 points. So sorry to the friend I played it against… She’s still playing, so I guess that’s a good sign!